Stephenie Meyer is a best selling teen vampire romance and science fiction author who is most well known for writing The Twilight Saga. 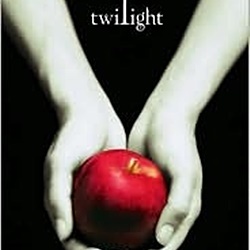 I had heard about the Twilight books but never thought to read them until my sister-in-law told me they were really good. I was a fan of vampire romance, Christine Feehan had recently been added to my bookshelf and I decided to take the plunge. I enjoyed the whole series. Meyer is a great storyteller, and very enjoyable to read for the most part. There are always little things here and there that can be improved upon but by no means did that detract from how engrossed I was in her books. They were really good. After the publication of her debut novel, Twilight, booksellers chose her as one of the "most promising new authors of 2005" (Publishers Weekly). In addition, Meyer was named Author of the Year in 2008, as well as the biggest selling author, having sold over 22 million copies of the Twilight books worldwide. 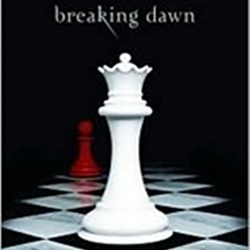 Since 2005 the Twilight series has become as big a phenomenon as Harry Potter, and is widely popular among young readers all over the world, as well as many adults. Due to it's popularity, the books were made into movies, the last of which was released in 2012 and Mrs. Meyer has made quite a name for herself. Stephenie is a graduate of Brigham Young University and currently lives with her husband and three sons in Arizona. Let's hope she'll continue to write great books for us to enjoy. Suzanne Collins is the author of the widely popular Hunger Games series. She is probably one of the best young adult authors we've read recently, and she is recommended to everyone. Her books are exciting, packed with action, and they're absolutely addicting. Trudi Canavan is a best selling young adult fantasy author and one of our top picks for woman fantasy fiction authors. She makes our list for her popular fantasy series, the Black Magician Trilogy. Cassandra Clare is an exciting author in the young adult fantasy genre. We absolutely loved her Mortal Instruments series. If you enjoy easy reading that will hold your interest, she is definitely recommended. PC Cast has written more than 25 books in the paranormal romance and young adult fantasy genres, many of which have reached best seller status. She is most well known for her House of Night series. L. J. Smith is one of our favorite authors in the teen fantasy romance genre. She writes mostly paranormal type books about witches, werewolves, vampires and shape shifters.